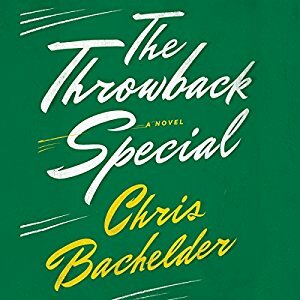 As football season kicks into high gear, Chris Bachelder, author of the National Book Award nominee The Throwback Special, took time out to share some of his inspiration for his novel about rituals, male bonding, and mid-life crisis. In this tongue-in-cheek novel, 22 guys gather in a low-budget hotel on an annual basis to reenact a gruesome moment in sports history - the November 1985 play when Joe Theismann of the Washington Redskins had his leg violently broken by Lawrence Taylor of the New York Giants. 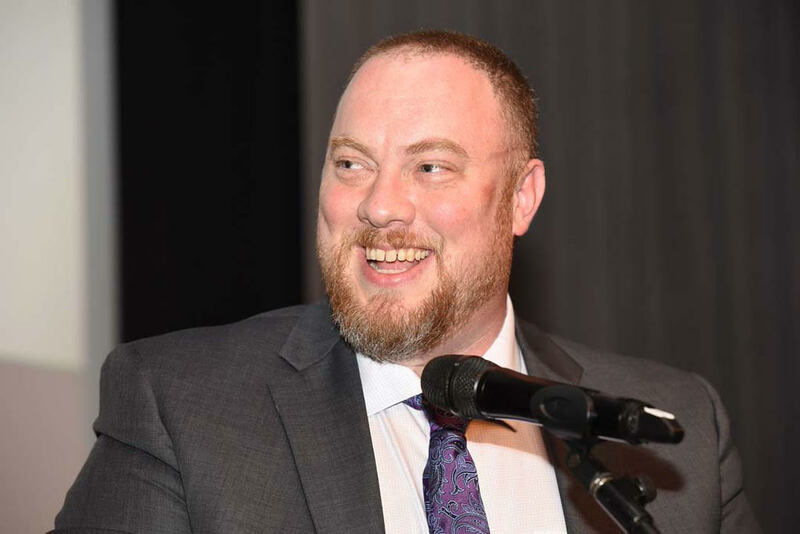 As characters are introduced, the story becomes less about the central event - often referred to as "The Throwback Special" - and more about the hilarious - and sometimes heartbreaking - realities of reaching middle age. Bachelder, who has taught writing classes at the Sewanee School of Letters at the University of the South in Tennessee for several summers, says novel writing is a journey of discovery and that he hadn't initially understood "this was a book about nostalgia, belonging, and rituals." "You can kill a book if you know too much about it," says Bachelder. "I tried to find drama from the movement of the mind since there's not much movement of the plot, honestly...those moments of thought that bend back against themselves and again, arrive in paradox and bewilderment and, hopefully, comedy." Watch the interview below as Chris and I talk about the novel, why hotels are weird, how Kurt Vonnegut inspires him, and how an excess of characters can be just enough, rather than too much, of a good thing. R.C. Bray, doing what he does best - talking! I also caught up with R.C. Bray, the award-winning voice actor who narrated the audiobook and a guy I am lucky enough to call friend. There was a lot Bray found he could relate to, being both a sports fan and "around" the age of the men in the novel. You had to voice a lot of characters in this book. How did you keep them all straight? As with any book I keep mp3 files of each character. I don’t pre-record them. I wait until I’ve done a few of their lines or a nice big paragraph, then use that for future reference. About halfway through the book I rarely need to reference them anymore. But minor characters will pop back up from time to time, so I record everyone. What was your prep process for narrating this book and was it easier or harder than you anticipated? One of the things I do to prep from time to time - which I did with Throwback - is skim through the pages looking for capitalized words; minus those at the start of sentences of course. Doing so not only helps locate place names, ancient battles, etc. that may have difficult pronunciations; but more importantly doing so gives me a good idea as to character count AND an idea as to who’s got the bulk of the story by how many times they’re mentioned. In Throwback, many of the character's names were each mentioned quite often.That can sometimes mean “thin” or even underdeveloped, characters. Not the case with this book AT all. From a narrator’s point of view, Chris provided so much with minimal effort on each of the guys that I got such a clear visual.There’s nothing like it when an author does that; it helps aid so much in what kind of voice I’ll give a particular character. This book talks a lot about rituals - and the weirdness of them. Do you have any weird rituals with your friends or family? If so, why are they important to you? There’s this bridge somewhere around Queens when we head to New York City. My wife and her brother used to waggle their fingers in the air and make goofy sounds for the duration underneath. As soon as you’re out from under it, all silliness stops and you're back to normal. My wife introduced me to it when we were dating. We’ve since gotten our kids to do it. We really don’t have to plan for it either; we all know where the bridge is and we all just jump into action once we’re under. I do it even if I’m in the car by myself! Why? I’m not really sure. But it never fails to crack me up. Part of why I love it is it’s so completely random. Think about it. How many other people do you think do something that unique? You seemed to have a lot of fun narrating this book. What - if anything - personally resonated with you?